Kiss, Date, Love, Hate by Luisa Plaja - What if you could change your friends' lives and loves through the settings of a computer game...? I don't think the cover of this one has been released yet, as it's not due for publication until 7th of July! Still, I'm very much looking forward to it. I've gotten to know Luisa quite a lot from Twitter and Chicklish, and I say it all the time and to anyone who will listen, but I think Luisa is absolutely lovely, a total sweetheart. 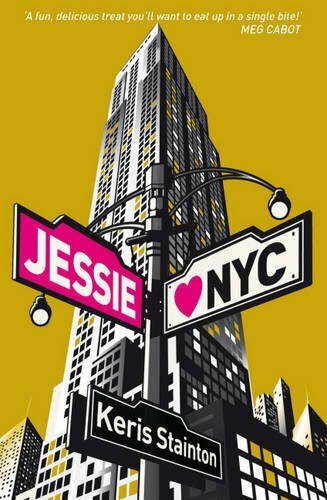 Jessie Hearts NYC by Keris Stainton - Jessie’s just arrived in New York, hoping to forget about her awful ex. 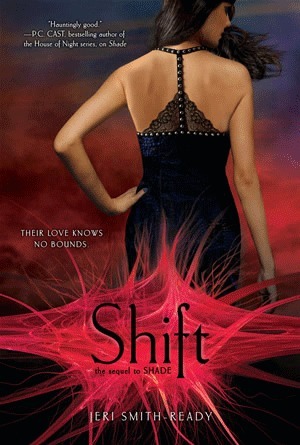 Shift by Jeri Smith-Ready - Aura’s life is anything but easy. Her boyfriend, Logan, died, and his slides between ghost and shade have left her reeling. Aura knows he needs her now more than ever. She loves Logan, but she can’t deny her connection with the totally supportive, totally gorgeous Zachary. And she’s not sure that she wants to. I think Shade by Jeri Smith-Ready, of which Shift is the sequel, was my biggest surprise of last year. I totally expected the book to be just another ho-hum paranormal romance. And instead, I was rocked by the characters and the depth of emotion and the storyline. I was completely drawn into Aura's relationships with both Logan and Zachary. And while Zachary is still who I'll be rooting for, I do really feel for Logan and the position that he is in. I cannot wait to see where the story will go and to find out more answers and yes, I want more of the chemistry between Aura and Zachary with hot Scottish accent! How long do I need to wait? Published 3rd May. So Much Closer by Susane Colasanti - Scott Abrams is the love of Brooke's life. He just doesn't know it yet. So when his family moves to New York City the summer before senior year, Brooke has no choice but to follow Scott. It's her last chance to prove to him that they're meant to be together. What will Brooke do when her biggest dream finally comes true, but instead she wants something more? There's something about Susane Colasanti's novels that just makes me happy. Each story feels quite sweet and gentle. Her books are books that makes me smile and feel good inside. There's something comforting about them. I've absolutely loved every book of hers that I've read, and I really doubt it's possible for me to disappointed in any of Susane's work. The wait for this one? Published 3rd May. 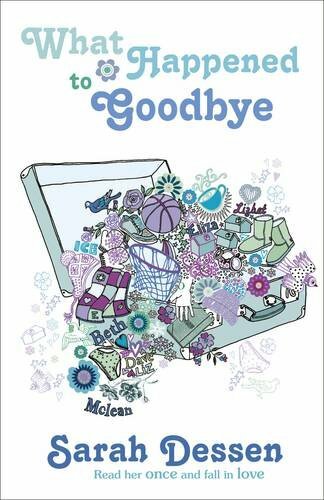 What Happened To Goodbye by Sarah Dessen - Another town. Another school. Another Mclean. Ever since her parents' bitter divorce, Mclean and her father have been fleeing their unhappy past. And Mclean's become a pro at reinventing herself with each move. But in Lakeview, Mclean finds herself putting down roots and making friends—in part, thanks to Dave, the most real person Mclean's ever met. Dave just may be falling in love with her, but can he see the person she really is? Does Mclean herself know? Ah, Sarah Dessen. How much do I adore Sarah Dessen, seriously. All of her books have really pulled at my heartstrings in such different ways. And this one sounds like it'll do the same. I love YA books that deal with identity. I don't think it's an issue that stops outside of being a teenager, I still struggle with the way in which my own identity is still changing and mutating. And Sarah Dessen just does it so well, doesn't she? It's very exciting. Publication date? 2nd June. I know that I'm not alone in my adoration of the Fuentes brothers. At the moment, I prefer Carlos to Alex, but I'm dying to know where Luis will end up in the ranking. Especially with that HOT cover art. My god. I think it's an interesting twist to make Luis's love interest a bad girl instead of him. But I think that product description is teasing me. Is he a bad boy or not?! Dying to know. Really. Wait time? Publication date - 24th May. Just remember to breathe until then. This is just the top of my virtual pile of books that I'm DYING to read. Which books would make your list? 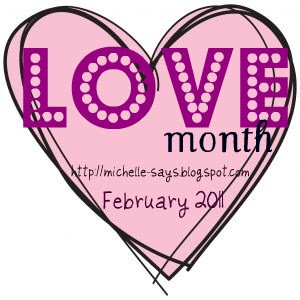 I'm so enjoying your Love Month! All of these books look pretty good. Shift is brilliant - even better than Shade, with the lovely Zachary only getting hotter. I've just read Take Me There and When It Happens by Susane Colasanti and am just loving her style - nice to see that she has another one coming out. Oh, thank you so much for the wonderful mention, Clover - you are so kind! I'm looking forward to lots of these too! I can't wait to get my hands on Jessie Hearts NYC, for a start! I've recently got into Susane Colasanti books - thanks to YOU, actually :) - and I'll definitely be looking out for So Much Closer. As for Chain Reaction, I still haven't read the second Fuentes brothers book. I need to catch up! There are lots of other books I'm looking forward to. Wuthering Hearts by Kay Woodward, and sequels by Hayley Long, Anna Carey, Rachel Vail and Hilary Freeman... and so many others! Thanks for including Jessie and for your lovely comments. I'm VERY excited about Luisa's new book. STOP! My TBR list has just gone into melt down. Five books that you have mentioned have now been added to my list. Must have them. Off to visit the two ladies above now. Sya - Oh thanks so much for saying so :) I've been enjoying it too! And yes, I do love Susane Colasanti so much, can't wait for her new one! 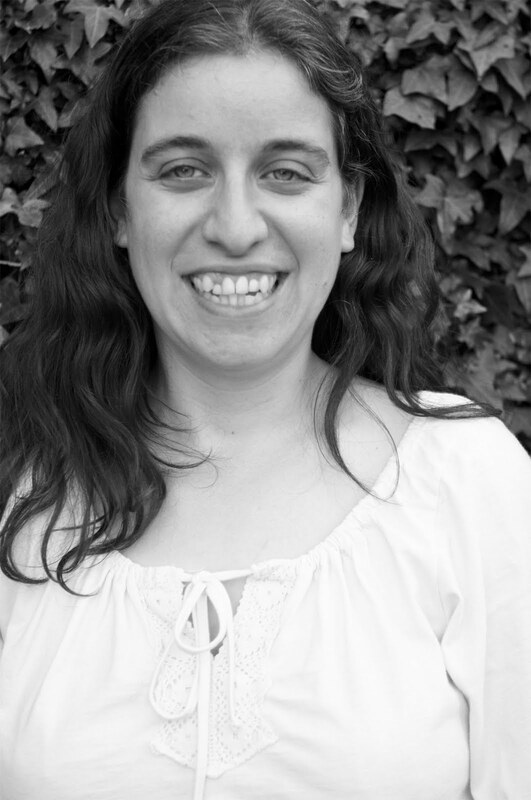 Luisa - Isn't Susane Colasanti wonderful? :) I've only just read Rules of Attraction, so it was sort of on my mind already. Aah you just added to my wish list!! Grrr... ;) I hadn't heard of Jessie Hearts NYC but now I really want to read it. I adore NYC, my two holidays there were awesome, so it sounds like something I'd really enjoy. The other YA romance that's top of my 'must have' list is Love Story by Jennifer Echols. No description yet, but it's another in the vain of Going Too Far (one of my top 5 favourite books ever) and Forget you (which is almost as good), so it's an auto must have for me! I'm sure I'll be going for Chain Reaction as I've read the other two. These books have the most awesome covers! Cem - Really sorry! :) (OK.. really not!) I love books set in New York as well, they make me happy. And I just heart Keris Stainton anyway! I am amazed at how much I LOVED Shade as well, so Shift is really, really a book I'm dying for. *gasps* Oh, I KNOW. I do love Jennifer Echols, so any of her books would always make my list. I just didn't include Love Story because I don't know anything about it. Very exciting though. Suey - The covers of the Simone Elkeles books are VERY eye-catching!